Beautiful Luxury Soy Wax Candles Hand Made with 100% Soy Wax. All Our Candle Wicks are Hand Made from Either Fabulous Tubular Woodwix or Delightful Doublewix Cotton Wicks. Stylish Reed Diffusers Hand Made with Eco Friendly Oil and Phthalate Free Room Filling Fragrances. Wixandstix is an independent manufacturer of luxury soy wax candles and reed diffusers. All our products are handmade with fine attention to detail and loving care. We always aim to bring you a beautiful collection of high quality fragrances which we change from time to time to increase your choice. We are passionate about what we do and take great pride in our products, so you can buy with confidence, and take pleasure in your purchase. 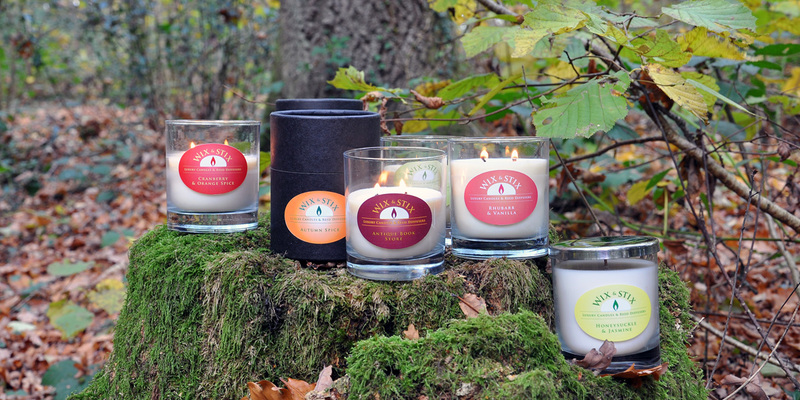 Please purchase your luxury soy wax candles and reed diffusers through our shop. We chose the specific soy wax for our candles because it is 100% GM free and no pesticides or herbicides are used at any stage in its cultivation. Also the wax that we use is 100% Vegetable matter, many soy waxes are blended with other waxes, sometimes paraffin wax, to make them easier to wick. 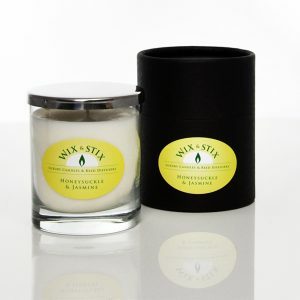 Soya beans are a renewable source and the wax is naturally bio-degradable, so it is really is an eco-friendly product. Our reed diffusers also use a no alcohol base oil made from natural plant products, another eco friendly product. Soy wax is not only better for the environment, especially the local one , but also it holds the scent better, lasts longer and doesn’t fill the air with noxious petro-chemical after fumes and soot than can blacken walls. We do not use colourants or colourings in our candles for the same reasons , we want them to be as pure and friendly as we can make them, Luxury Soy Wax Candles and Reed Diffusers hand made in the UK with loving care and friendship.